Thomas Kaplan-Maxfield holds a PhD. in American Literature (English) and has taught creative writing and literature at Boston College since 1989. He has also taught at Tufts University and in the Wang Center's Young Arts program in Boston. He is a licensed building contractor whose work has appeared in various publications, including Better Homes and Gardens and The Boston Globe. Other published works by the author include: The Ghost of Hollow Pine; My Short Life with Lawrence Durrell; The UMass Murders; and The Posthumous Writings of Witman Drucker. 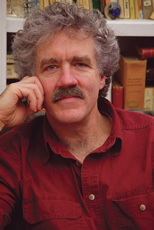 In his academic work, Thomas Kaplan-Maxfield specializes in early American literature. Memoirs of a Shape-Shifter is a re-imagination of the author's historical research on colonial America and the writings of the Puritans, as well as an exploration of root influences in English and Celtic culture.